Free video flip and rotate is a simple software for rotating and mirroring from the internet, purchased or self recorded video clips. The selected video can be on several way be rotated and/or mirrored. With a single click of the mouse one of the options chosen and in no time, the video will be according to the wishes of the user is changed. To select the rotate by 90 degrees clockwise, rotate 180 degree and rotate 90 degrees counter clockwise, and horizontal mirroring and vertical mirroring. There is also a vertical mirror with simultaneous rotation by 90 degrees in the clockwise direction, as a vertical reflection rotate 90 degrees counter clockwise. Useful is free video flip and rotate, especially when in a hurry or a careless moment a video in portrait: with very little effort, the video is rotated and is again very much trouble to consider. Also for editing videos is free video flip is a worthwhile purchase, however, should not be too much of this very easy to use program are expected. By the reflections and rotations arise sometimes interesting visual effects, but for cutting and piecing together of videos is a further software is definitely needed. All in all, a small, elegant program that offered operations scores. 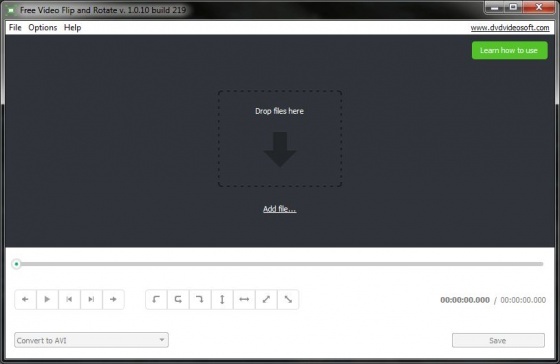 You can free download Free Video Flip and Rotate latest full version from LoadSafeSoft.